﻿﻿It’s been a hectic couple of weeks here at Digital 2.0. We’ve moved into a bigger and somewhat shinier office space and it’s taking longer to make tea for everyone, which can only mean one thing! Children of the 80s have won the ‘Geek Factor’ competition and now the real work begins on developing the game so you lovely people are a step closer to having a go. So far we have a mini game called ‘Fruit Catcher’ that everyone in the office is hopelessly addicted to, with a bit of healthy internal competition to see who can get the highest score! There is nothing funnier than a grown adult yelling ‘I need a green apple!’ at a computer screen. Well, ok, there are probably plenty of funnier things out there but you get the idea. Hopefully this has whetted your appetites for the launch of the game at the end of October, if not these screen shots should grab your attention! 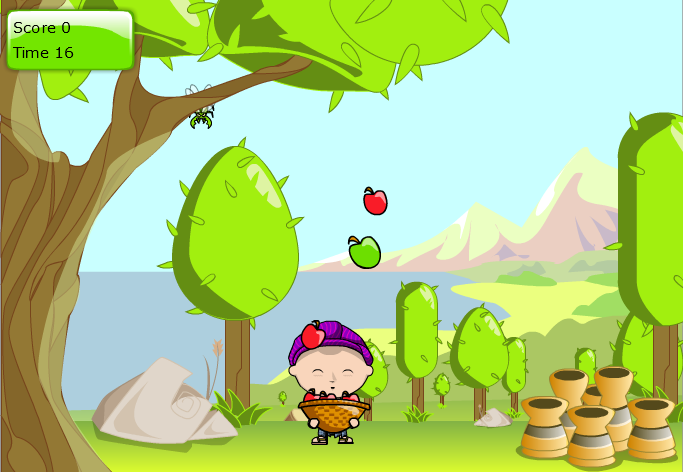 The ‘Fruit Catcher’ mini game we’re all hopelessly addicted to. Catch as many red fruit as possible and green fruit for time bonuses, but make sure you avoid those insects! Or add us on facebook, we go by the name Reinventing Learning for Digital Play. 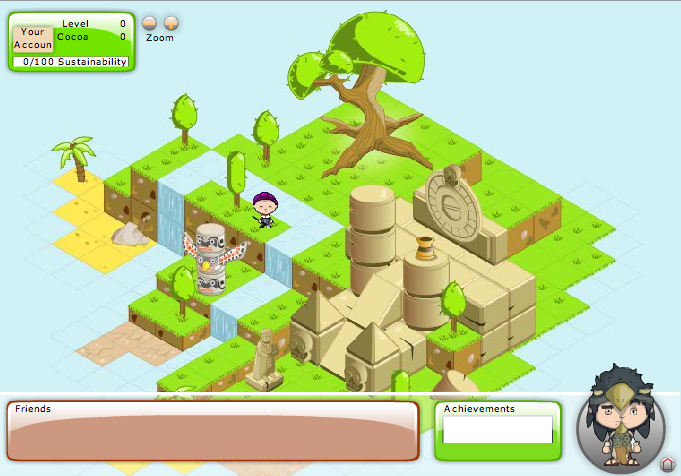 This entry was posted in WeForest Game and tagged environment, reforestation, social games, trees, WeForest. Bookmark the permalink.